Inspired by sixteenth century French architecture, these chuchoter earrings evoke elegance and style. 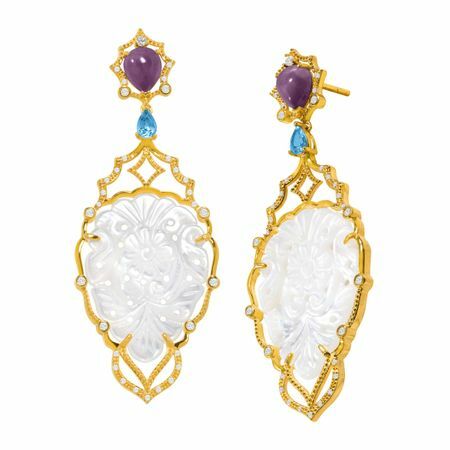 Crafted in 18K gold over sterling silver, carved floral mother-of-pearl are accented with shimmering blue and white topaz, suspended from amethyst cabochons. Pieces measure 3 1/8 by 1 3/16 inches.